MSV: Timmy Occhipinti thought he was going to be mayor? Timmy Occhipinti thought he was going to be mayor? On election night, the Raia-Mason headquarters was buzzing as the numbers from the polls were coming in. Outside, large crowd controlling barricades were set up cutting off 80% of the sidewalk to the public. The next night after the rubble had been cleared from the Timmy Occhipinti campaign, a pummeled looking Occhipinti sat at the dais looking dazed and puffy. An insider story on Grafix Avenger says the beating was felt far worse because someone in the campaign had circulated a phony poll saying not what was printed in a Hudson Reporter column two weeks prior - that Occhipinti was in "striking" distance of Mayor Dawn Zimmer - but he was in the lead! Among those who "fell" for this is the official campaign manager Jamie Cryan. Others in the campaign never believed it and thought Occhipinti's belief he would be mayor was "delusional." 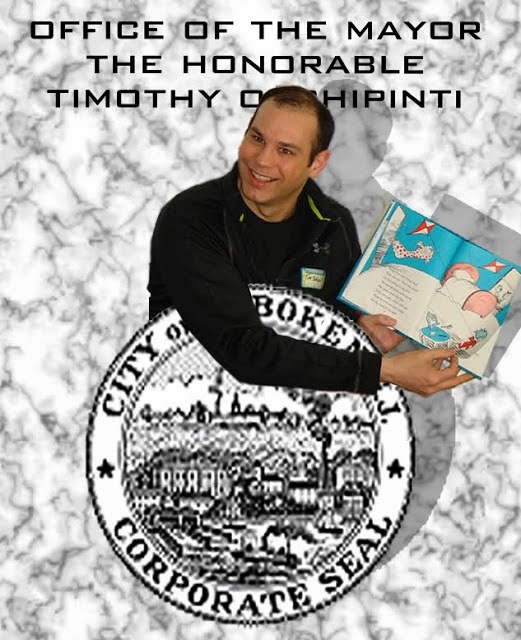 How about a Dr. Seus story from Mayor Timmy Hoboken? According to an insider story on GA, Occhipinti really thought he was winning. Based on the barricades outside the Raia-Mason HQ, they thought so too. According to Grafix Avenger's story, "They're Dumb People," this was all part of an elaborate plan to milk the big bucks campaign underwriters for as much money as possible. (Political consultants often are compensated based on a percentage of total campaign spending). Among the additional nuggets including the bomb of a phony poll creating large, false expectations is Occhipinti went back to Frank "Pupie" Raia asking for a big bonus for his "roomie," the communications director who shares his domicile in the fourth ward. The comparisons to the spring 2009 mayoral campaign of Beth Mason are numerous and the article details the behind the scenes sabotage as every last dollar is extracted before the walls caved in. While the article says some in the Raia-Mason camp refuse to believe the results and can't comprehend the demolition of spending in the ballpark of a quarter million for a 17% result travesty, others may be scratching their heads and saying what if. Apparently, Raia himself may be beginning to wonder if everything was on the up and up. 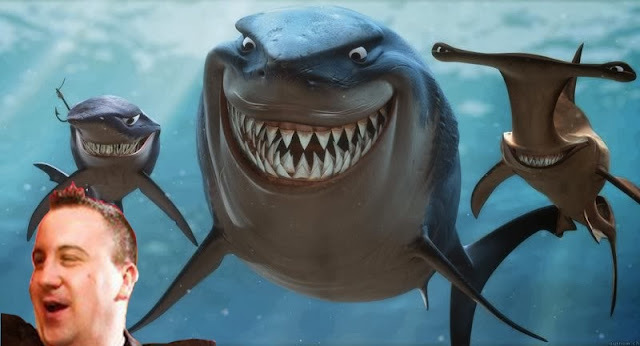 Which means the sharks are circling and maybe thinking about going cannibal on one FinBoy AquaMole who is rumored to have been meeting with the Ramos camp regularly throughout the campaign. shellacking on election day where Occhipinti managed a little over 17% is making people wonder how did that happen.